With the first race weekend done and dusted, it was time to start my 2016 UCI campaign with a trip to Iowa City. 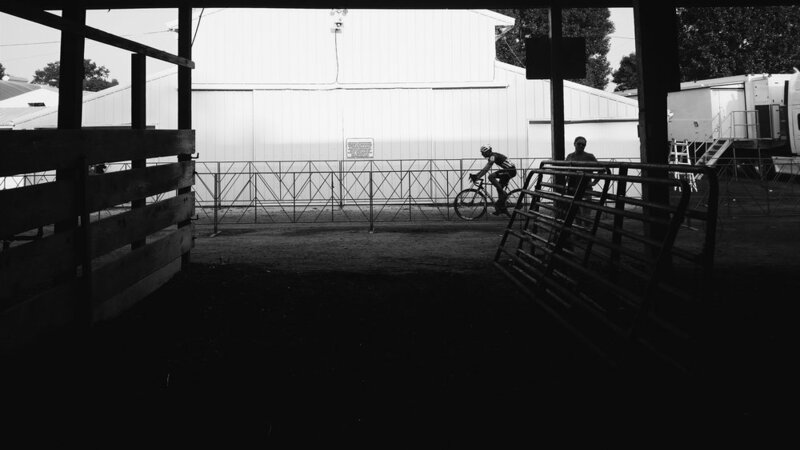 Jingle Cross is an annual race held at the Johnson County Fairgrounds just outside of Iowa City. The race, usually held in November - hence the Christmas theme - was moved up on the calendar to the last weekend of September as the second stop of the World Cup series. Many top European riders made the trip across the Atlantic to score some early points and get a taste of American cyclocross. My own trip started on Thursday afternoon and we rolled through the miles and miles of rolling fields to arrive on Friday afternoon. We had been watching the weather closely and Mother Nature graced us with heavy rains on Thursday afternoon and Friday morning. It was going to get messy. Friday's race was a Category 2 race under the lights. With a start time of 9pm, I needed an extra boost to get ready to race when I would usually be winding down for the night. Since the World Cup race was the next day, many of the top riders sat out Friday's C2. Many, but not all. The field had a few familiar names from the US domestic scene, as well as some foreign compatriots looking to scoop up some points. The course was devoid of any and all grass, with thick patches of mud and deep ruts at every turn from the day's earlier category races. From the start, the racing was fast out of the gates. We powered down the straightaway and entered the mud for the first time. I hopped off my bike in the first corner, electing to run the first sections of the course. The name of the game was keeping the bike clean and functioning. Sprinting through the field, I pushed and shoved my way towards the front of the group, running all the way to the pit to grab a clean 'B' bike. Moving on to the first ascent of Mt. Krumpit, the crowds were thick and rowdy, as we drudged our way to the top of the course. More running. More suffering. By the end of lap 2, I found myself in the top 15 of the field. I was riding with guys like Jonathan Page (former US champ), Cody Kaiser, Justin Lindine, and other top riders. Then the mental wheels came off the bus. Rather than staying focused on my race and my lines, my mind drifted ahead to finishing with a good result and worrying about hanging with some of the best riders in the nation. As a result, I started trying to ride where I previously ran, I missed lines that I had nailed on the previous laps, and I laid down in the mud on a couple occasions. My mistakes cost me. Even though I was able to keep my equipment functioning, I started to fade faster and faster, struggling and worrying about holding my spot in line. Let that be a lesson to you - focus on what you can control and on your race. Suffering through the grit and grime, the little voice in my head grew louder, begging me to quit. After 45 minutes of racing, the referees came to my rescue and pulled me from the race with 3 laps remaining, finishing in 22nd place. Welcome back to the Elite Men's field, Tyler. 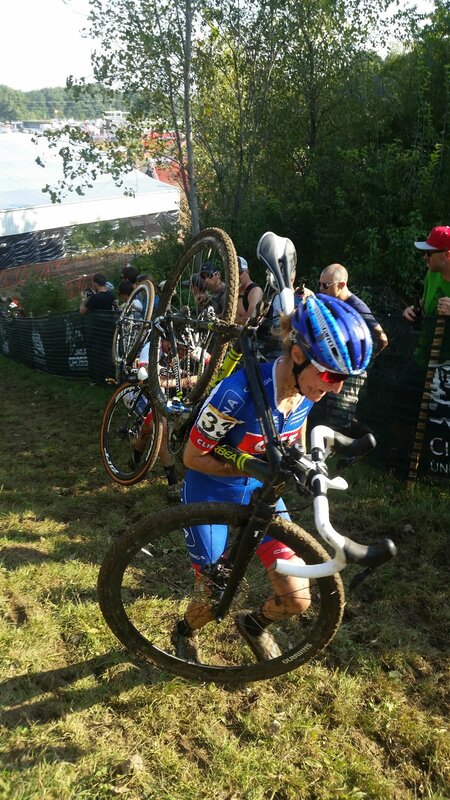 I was satisfied to come away with a top 25 finish, but the race left me wanting a bit more from myself. There were more than a few notes jotted in my notebook afterwards and I was looking forward to Sunday's race. We had a leisurely start to the day and headed to the course to clean bikes and enjoy the fall weather. The World Cup was truly something special. The course was challenging and seeing the world's top riders tear up the track was spectacular. If you haven't already read about it, check out the great write ups from Dan Seaton. The last day of Jingle Cross arrived after a wild Saturday. The mood around the fairgrounds seemed almost somber, as many packed for home and fans had spent their energies cheering on their favorite riders on Saturday. Sunday was also special as the course was almost exactly the same as the World Cup track, giving amateur riders an opportunity to test their mettle on the same course as the pros. The men's elite field had a few more big names and top Europeans in the race, squeezing the last bit from their trip to the U.S. Again, the speed was fast and furious from the gun and we charged into the tacky mud in a pack of carbon fury. I pushed my way up pretty quickly and tried to settle in to a manageable pace, pushing hard on the running and climbing sections of the course. The ascent to the top of Mt. Krumpit was soul-sapping as we stair-stepped our way up to it's peak. Just when you thought you might have time to rest on the descent, the technical off-camber and bombing line down the hill required every ounce of physical and mental focus. I settled in to a good pace and was passing a few folks and getting passed by others. For me, the race wasn't one for results. Rather, it was a race to get as many laps in as I could before getting pulled. I smashed myself at every opportunity sprinting uphill and powering out of every turn that I could. My mental focus was much better today, riding free of any expectations. Try as I may, my engine couldn't carry me at the same speed as the top riders, who were turning laps close to a minute faster than my own. Again, the officials pulled me off the course with 3 laps to go (a whole other topic for debate, which Steve Tilford covers thoroughly), as I just missed the opportunity to survive another lap (literally just a handful of bike lengths in front of me). Shattered from the effort I felt like I left some minutes out there in the race. But, being my second race weekend of the season and my first big race of the year, I was happy to learn some good lessons to take with me for the rest of the year. Christmas came a little bit early this year in Iowa City and it was great to be a part of the fun! I can only hope that Jingle Cross will become a mainstay on the World Cup circuit and will contribute to the growth of our beloved sport here in the U.S.